The American University of Armenia (AUA) is a private institution of higher learning, offering a global education in Armenia. AUA is affiliated with the University of California and accredited by the WASC Senior College and University Commission, 985 Atlantic Avenue, #100, Alameda, CA 94501, 510.748.9001. 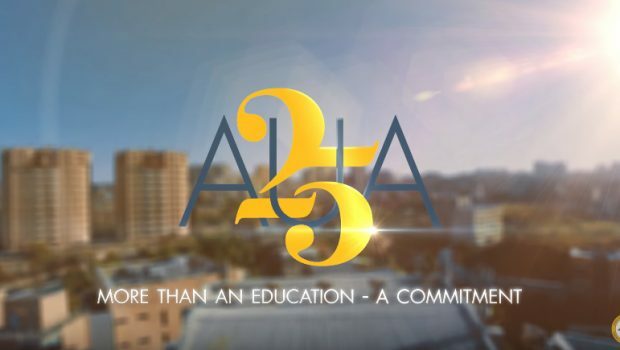 Founded in 1991, AUA provides a high-quality, graduate and undergraduate education that encourages civic engagement and promotes democratic values, fostering scholarship in a setting that values and develops academic excellence, free inquiry, integrity, scholarship, leadership, and service to society. 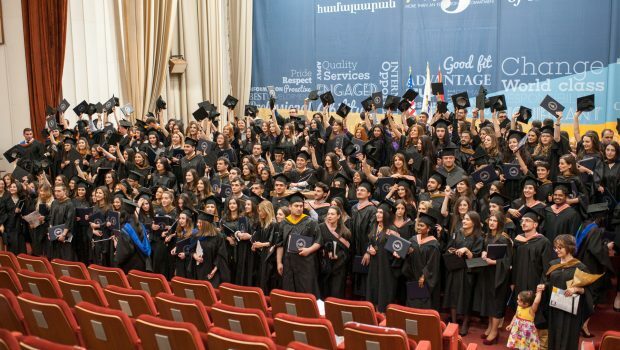 AUA’s graduate program offers master’s degrees in eight fields of study: Business Administration, Industrial Engineering and Systems Management, Computer and Information Science, Political Science and International Affairs, Economics, Public Health, Law, and Teaching English as a Foreign Language. These programs are intended to develop critical analysis and depth of knowledge through advanced coursework, independent study, and research. AUA’s undergraduate program offers bachelor’s degrees in English and Communications, Computational Sciences, and Business. Through its undergraduate courses, the University offers students depth of knowledge for career preparation and further studies as well as the breadth and a foundation of general knowledge and skills for life-long learning. The American University of Armenia is registered as the American University of Armenia Corporation, a 501(c)3 nonprofit in the state of California and is also registered as the American University of Armenia Foundation– a foundation (Հիմնադրամ) in the Republic of Armenia. The College of Business and Economics (CBE) offers a Master of Science in Economics (MSE) to prepare graduates for careers and advanced study in economics applied research and public policy.